Like so many businesses, your company is exploring 3D printing and additive manufacturing. Maybe you have the perfect design, and the innate benefits of 3D printing has caught the attention of your team. But while the benefits may be clear, operational costs and implementation may not be. Perhaps your company has considered buying a 3D printer, but aren’t sure about the costs involved and technological expertise needed. Then the question occurs, would it be better to buy a printer or outsource our 3D printing needs? These internal debates have existed for years in the manufacturing realm and especially the 3D printing arena. Fortunately, the field has expanded in such a way that owning a printer and outsourcing don’t always have to be mutually exclusive. Prototypes are just a percentage of the parts produced in major 3D printing services bureaus like Objective3D Direct Manufacturing. Additively manufactured production parts for major industries are continuing to grow due to technology advancements and development of materials from rigid and elastomeric plastics to high strength metals and alloys. 3D printing customers are aware of the inherent design freedoms, cost effectiveness and quick turnarounds associated with 3D printing production parts, but aren’t equipped to set up the operations associated with major additive manufacturing. Some businesses have office set-ups perfect for clean, safe printers like the Stratasys F123 Series, but when exploring the more production caliber technologies like Laser Sintering and Direct Metal Laser Sintering, a considerable amount of careful handling and higher process temperatures have to be considered. That’s where service bureaus fit in with their scope of technologies and materials. By utilizing their services, you can explore new 3D printing technologies that might not be available to you otherwise. Specifically, additive metals are not an in-house possibility for most businesses due to cost, material handling, and technical requirements. 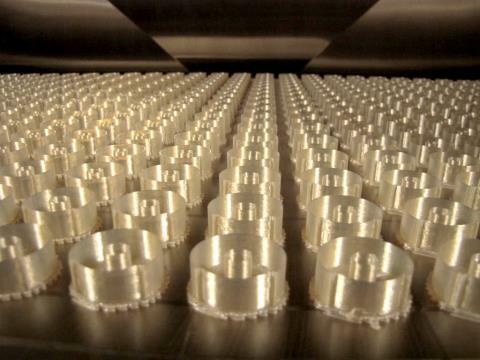 Objective3D Direct Manufacturing has the expertise, finishing capabilities, controls and secondary operations necessary to produce robust and functional DMLS components. Buying an additive manufacturing technology can be a significant capital expense all on its own. Additionally, it often involves investing in staff to set up software, provide maintenance, purchase and install material and other consumables. The setup involved may disrupt and require re-configuring of overall operations. Though owning a printer may be in your future, a service bureau is a great first step toward incorporating 3D printing into your business. Working with experts to understand which technology works best for your applications and quality requirements can help you determine which solution you need for the long term. Sometimes a part is complex and requires a special build style or specific materials. In-house operations may not be able to fulfill the desired look, feel or function. Or perhaps it’s time to try something new with the design and an exploration of new materials and build styles may be in order. Service bureaus open that opportunity to you. This can also be a complementary process to in-house operations. Conventional manufacturers may need custom jigs and fixtures that would be better accomplished with additive manufacturing. Large parts or parts needing assembly might be better accomplished with a bureau’s experienced finishers who can assemble multiple sections without sacrificing strength or integrity. At the end of the day, it’s really about expertise for quality parts. Objective3D Direct Manufacturing has been in the 3D printing industry practically since its inception and has made a point to explore every new avenue as it emerged. Development of parts for major players across a variety of industries, including aerospace, medical and consumer products means we’re well equipped to take on even the most complex application. The sweet spot in additive manufacturing is a high volume of a low mix of part designs; there we can deliver with unmatched consistency and repeatability. We have developed the process and quality controls needed to deliver parts with strict requirements and certifications. In addition to our manufacturing capabilities, we’ve spent 30 years honing post-processing and finishing skills that are unmatched in the industry. So many additive manufacturing technologies require knowledge of what’s required to finish them to customer desire and the supplemental equipment used to accomplish it. For DMLS especially, there is a full suite of post-processing equipment required to produce metals parts. 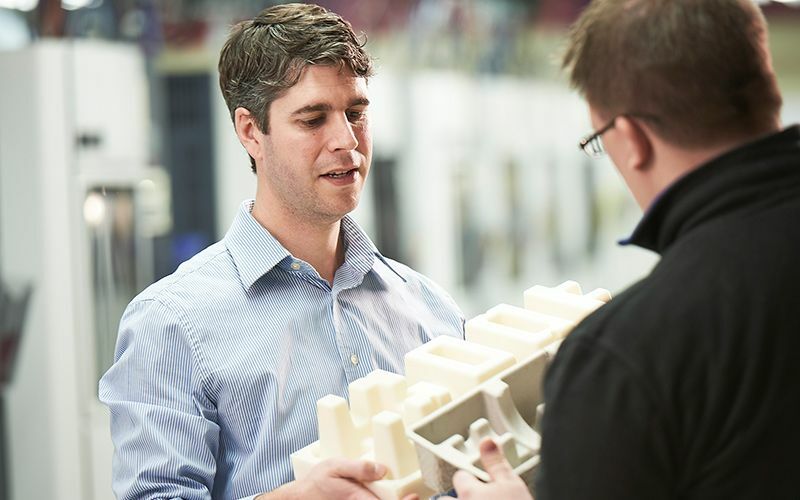 In other words, service bureaus like Objective3D Direct Manufacturing may be better suited to help customers realize additive manufacturing’s full potential for your application. We take amazing new ideas for products and technologies and champion them into real applications, one-by-one, by identifying new ways 3D printing can bring them to life faster and easier. Let’s take your idea and fully realize the possibilities available to you through our suite of technologies and services. If you would like to build or scan a 3D Part and need a quote, please contact us at 03-9785 2333 (AUS) or 09 801 0380 (NZ) or email us at [email protected] Alternatively, you may upload your files and get a quote on our online system.